Still catching up, folks. Still catching up. Sorry about that. I’ll get caught up eventually. 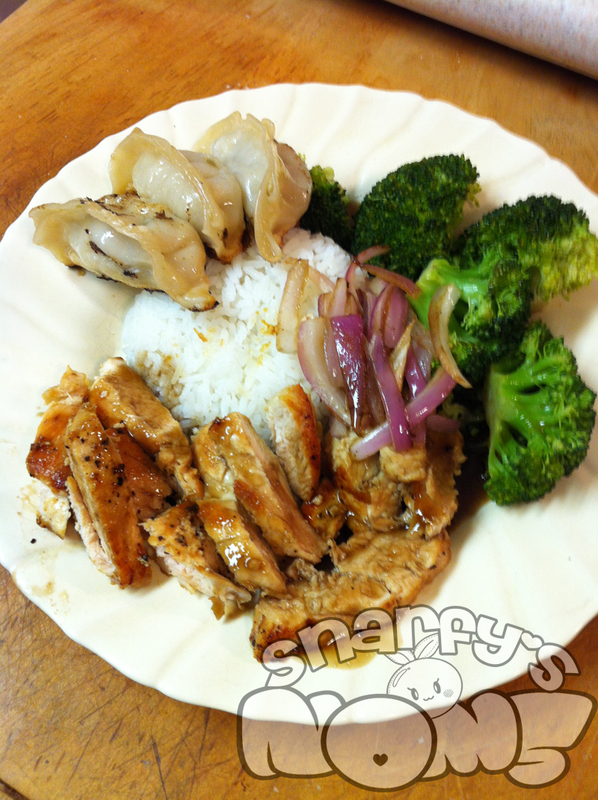 A while back though, I made Chicken Teriyaki for a movie night dinner. I wanted to make my own teriyaki sauce because a lot of the pre-bottled stuff is too salty for my liking or it just plain tastes funny. This was really super easy to make and only took a few minutes with ingredients that I pretty much always have anyway. Easy enough to make my own and forget about that bottled junk! Mix all ingredients together in a saucepan and put over medium heat on the stove. Whisk continually. Once thickened, remove from heat and serve over your choice of meat. I’m a big fan of chicken, but grill up some thin steaks or salmon for something different! You can also use this sauce for marinating as well.